The Ford Fiesta ranks among the very best small hot hatches of all time. 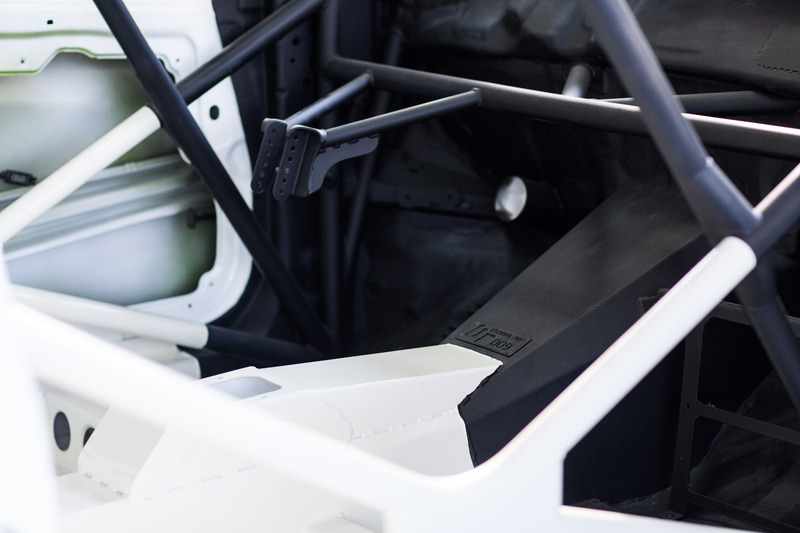 It is a combination of lightness, agility and performance. 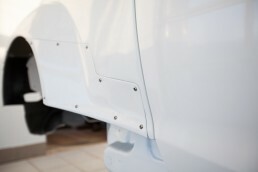 Even though we like it, we want to move it a bit further. What would you say about all wheel drive, 300 hp Fiesta? 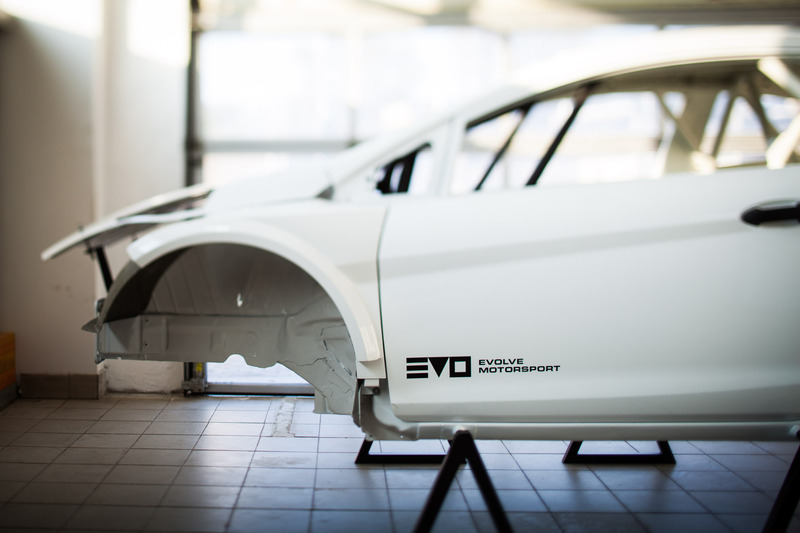 This is Fiesta Evolve – rally weapon fitted with 2.0 turbocharged boxer engine, 6 speed seqeuntial gearbox & long travel ohlins suspension. 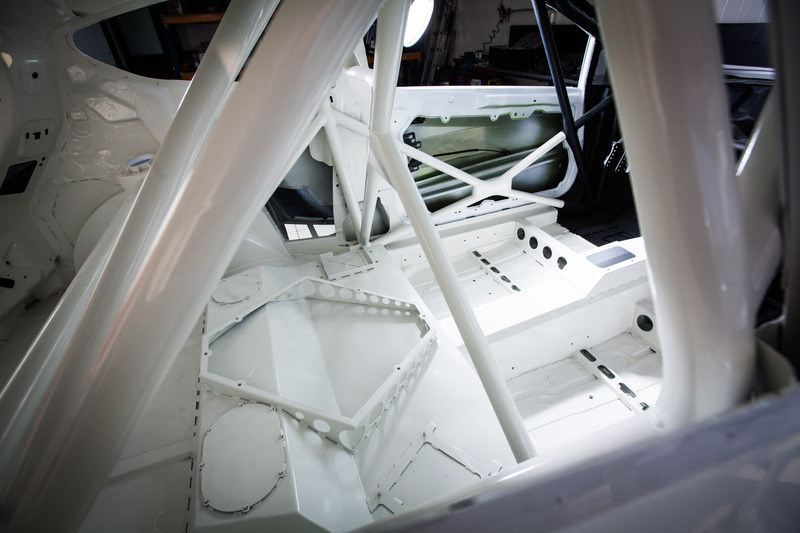 Building rally cars requires a lot of work. 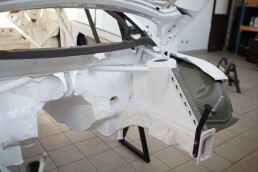 The preparation of bodyshell is just a first step. 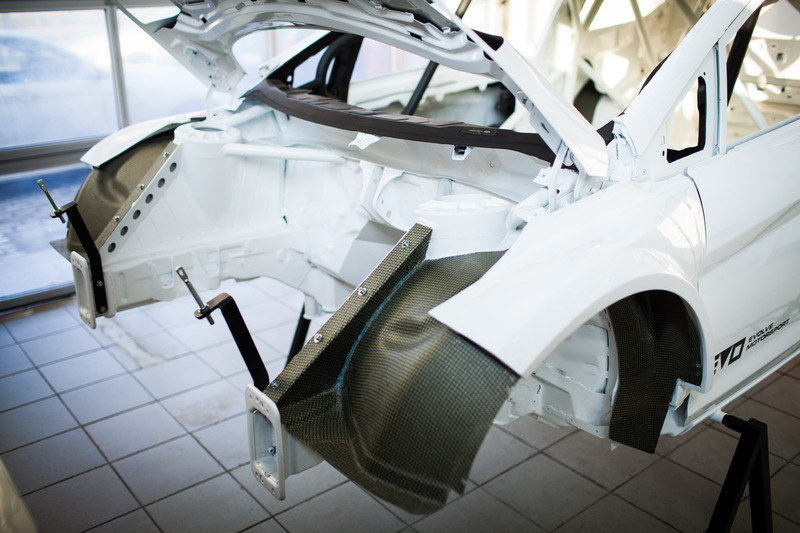 Body needs to be adapted to wider track and longer travel of rally suspension. 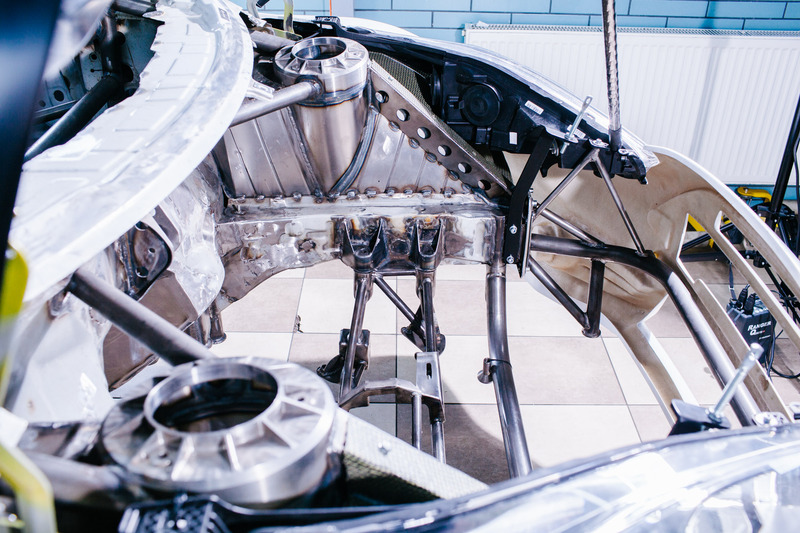 Because we use boxer 2.0 engine with transaxle transimssion, which sends power to rear wheels through active differential, we also need to completely rebuild the floor. The body is fitted with wider composite fenders and bumpers. 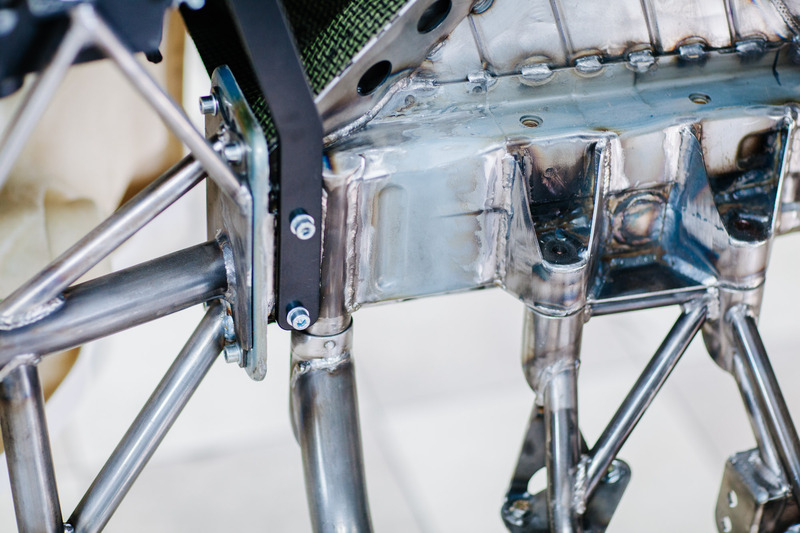 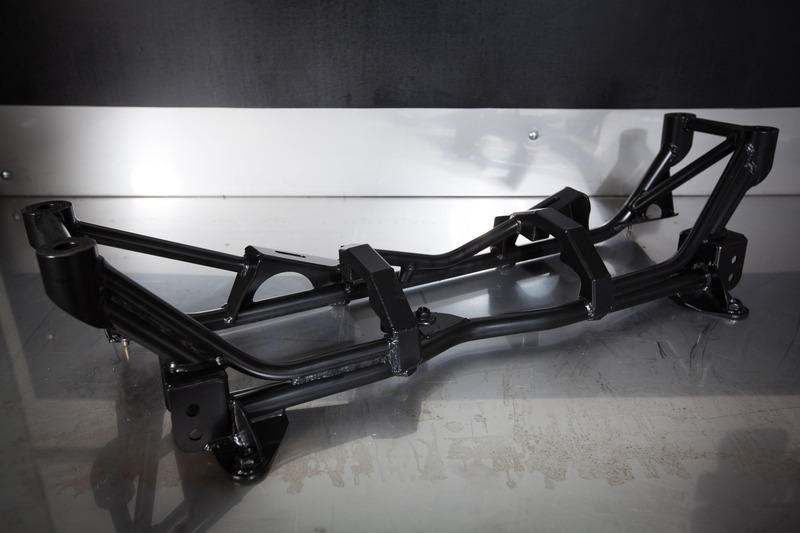 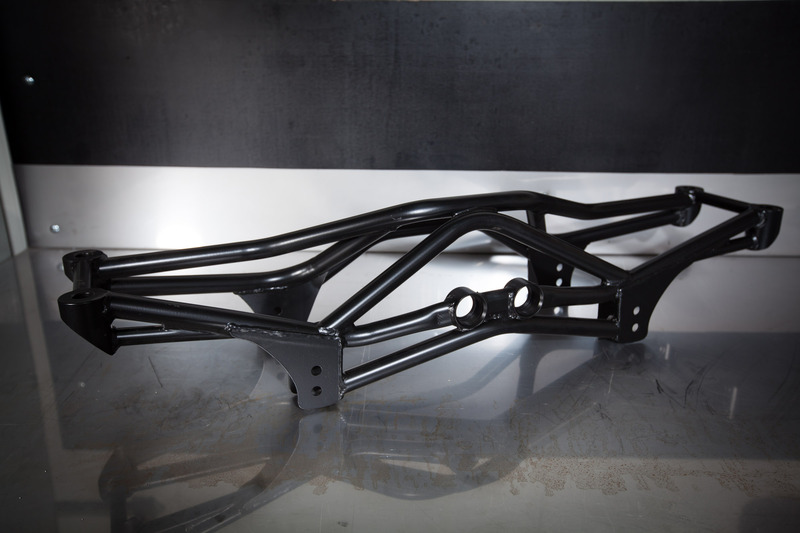 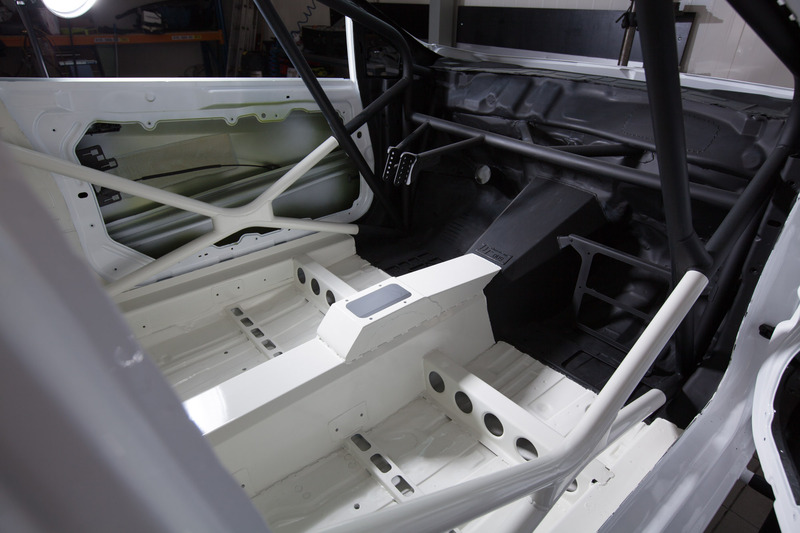 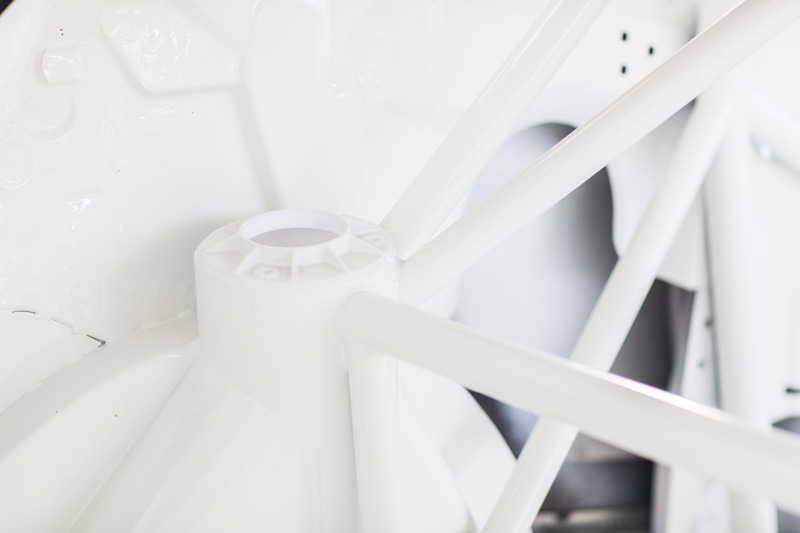 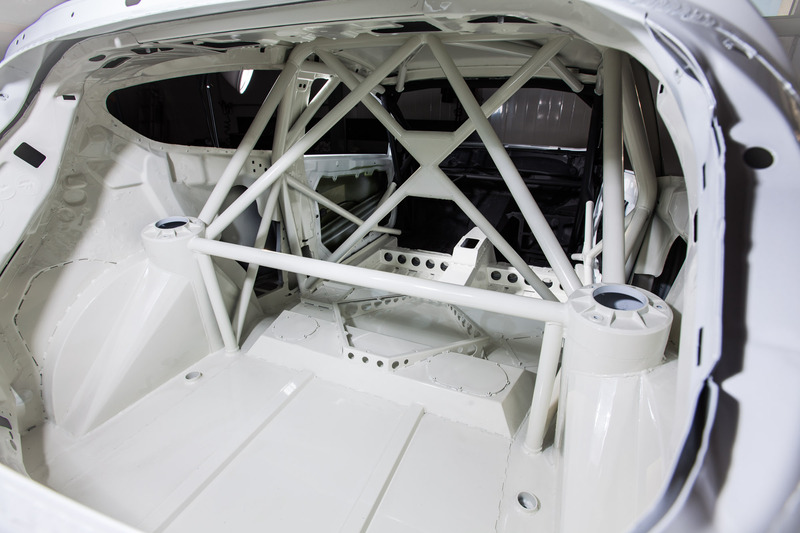 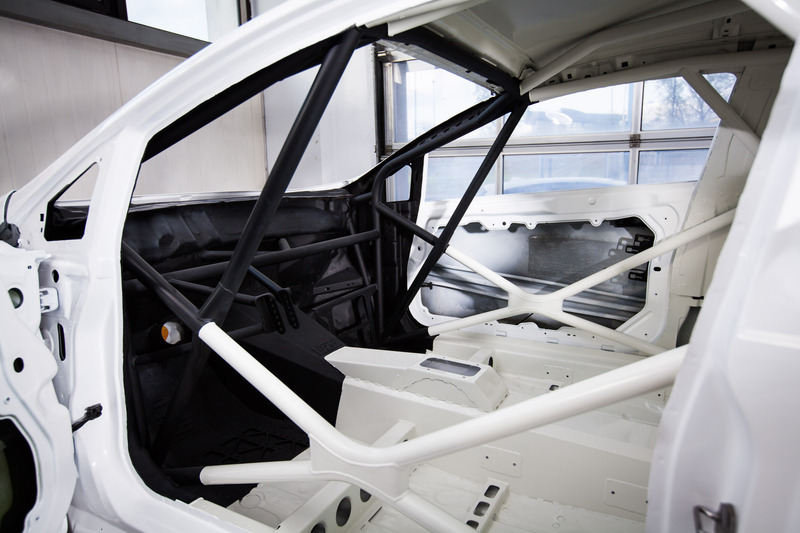 We install cro-mo safety cage with FIA certification and weld entire body to make it survive all rally stages. 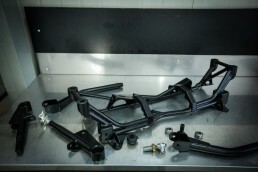 Rally suspension with longer travel requires more room, so we designed custom suspension mounts. We are also using custom cross members and arms. Both rear and front use macpherson struts. 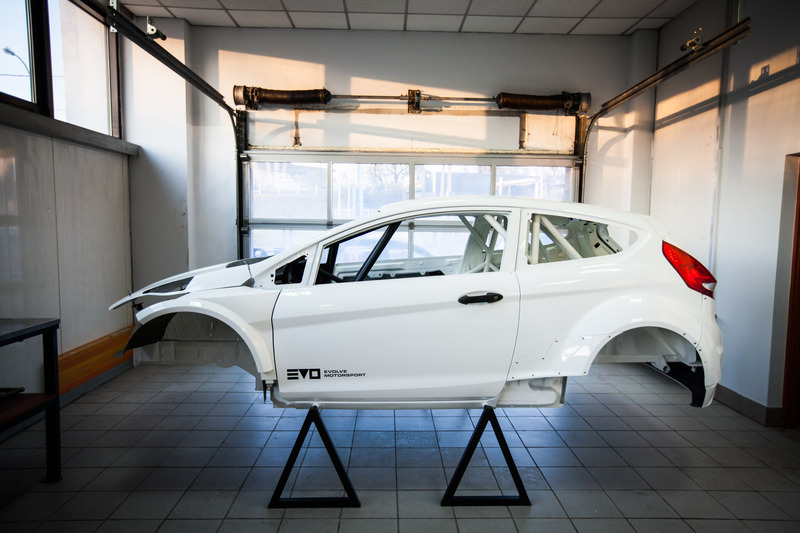 We design and build rally, rallycross and racing cars for customers all over the world. 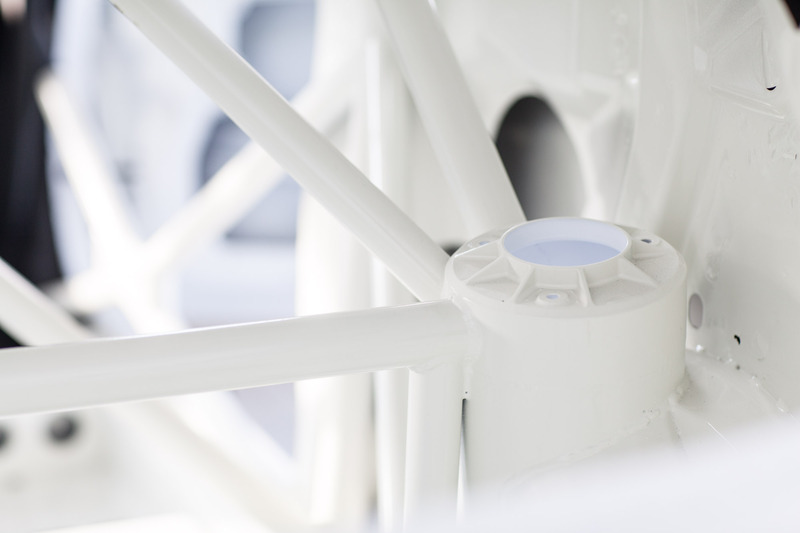 We focus on design, performance and safety, providing you exceptional driving experience.